Very exciting to see that the final projections are a match to the concepts and artwork. 3D reconstructed insects from the Australian National Insect Collection, CSIRO. 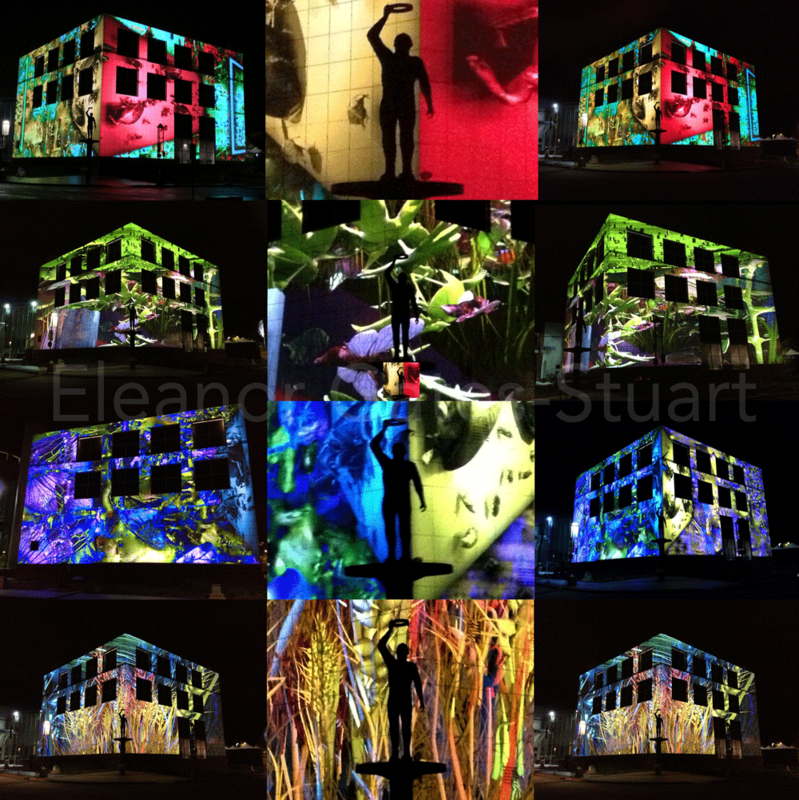 The insects are placed on a static visual plane that changes in timeframe onto the building and have a visual dynamic effect from both walls or at a corner. Plants through an artistic 3D ‘lens’ and the complex structure of the plant, texture and DNA. A translated 3D model and simulated environment viewed as ‘internal’ landscape on external walls. Insect scan data by Dr Chuong Nguyen from the Australian National Insect Collection, CSIRO. Plants scan data by Dr Xavier Sirault and Dr Chuong Nguyen at the Australian Plant Phenomics Facility – the High Resolution Plant Phenomics Centre at CSIRO.